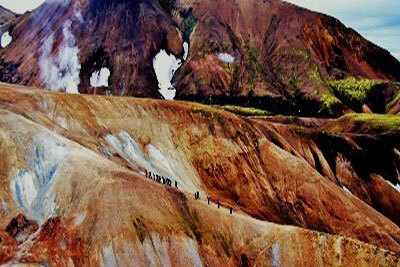 And I am going there to trek the scenic beauty of its trails, from Landmannalaugar to Thorsmörk and Fimmvörduháls Volcano! I am joining a group that includes our friend and fellow adventurer from Idaho, Joan Whitacre, departing August 15 for Reykjavik, and will be trekking for 6 days. What an opportunity! What a wonderful opportunity Susan, I look forward to seeing your pictures!